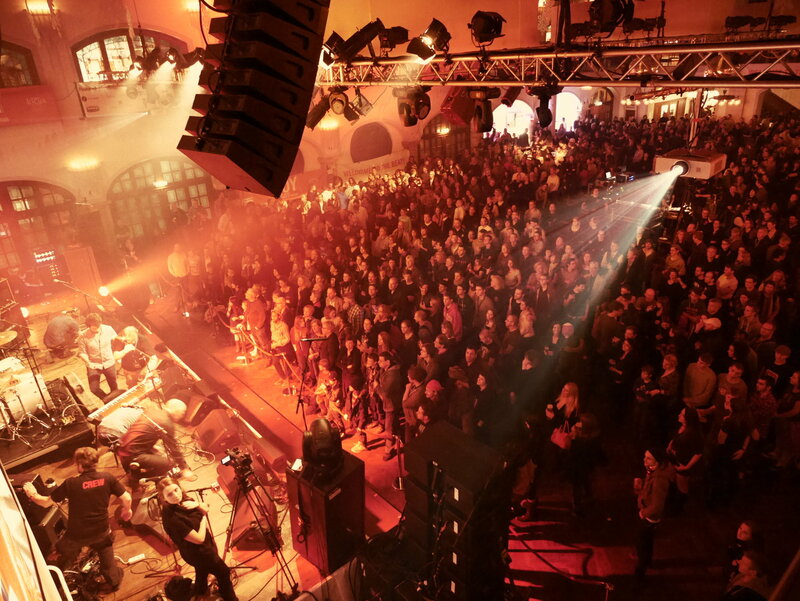 For their anniversary, the drummer’s focus school performed the show “30 years on the beat” together with Germany’s elite drummers at the “Loewenbraeukeller” in Munich on January 10th, 2014. All visitors from the hobby drummer to the established drum professional got their money’s worth. The live acts were as varied as the audience: 14 bands, mainly former students of the organiser, provided an entertaining show for four hours with both soft and hard sounds of most diverse genres. The start of the show was already exciting: 150 Bolero drummers ensured a spectacular start and raised indeed high expectations. 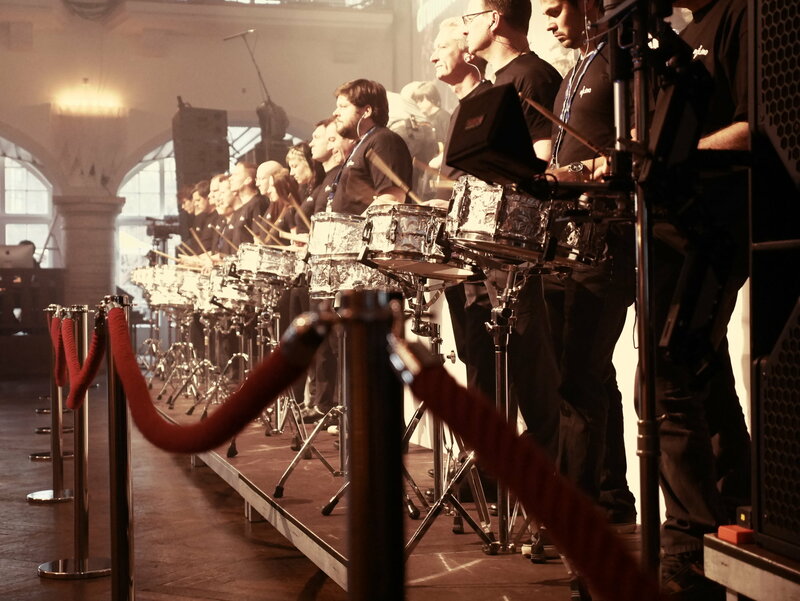 All Bolero drummers received the necessary commands to guarantee a smooth and consistent performance. The drummers were at several places in the room. 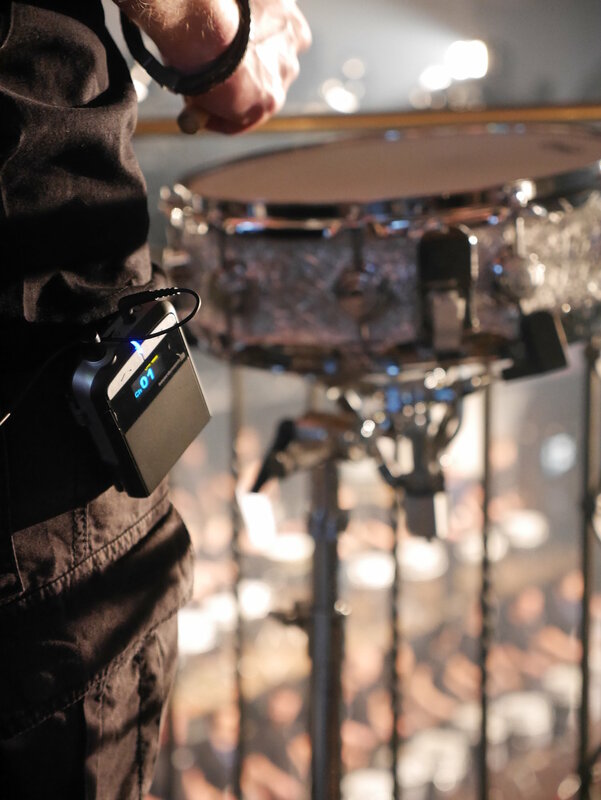 Therefore, the commands were transmitted to the drummers via the beyerdynamic Synexis wireless system with 150 Synexis RP 8 beltpack receivers. The Synexis wireless system is very versatile and mainly used for guided tours, hearing assistance and interpretation applications. But it can also be used for commands in training or for coordination and stage directions in performances like these. 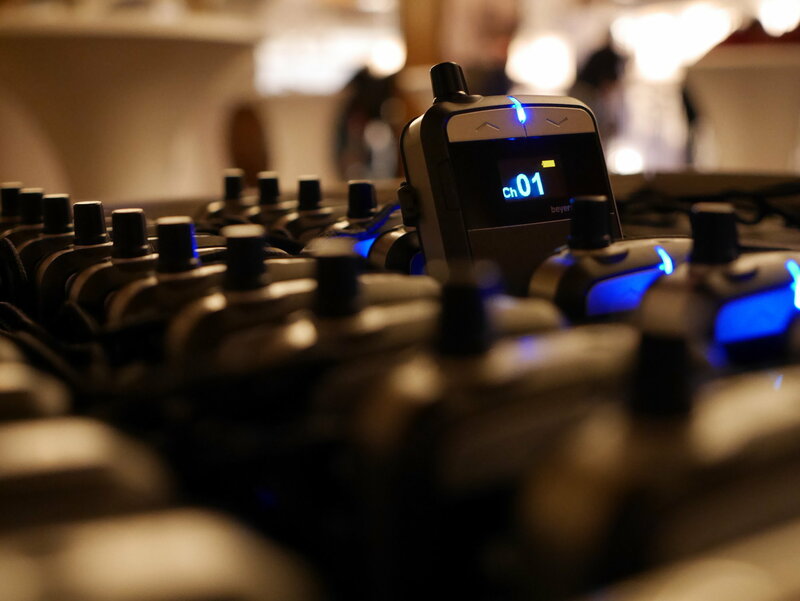 Beyerdynamic also supported drummer’s focus with wired microphones (including miking all drum sets) and eight TG 1000 wireless microphones which were used on the main stage and for the moderation of the event providing the required freedom of movement.